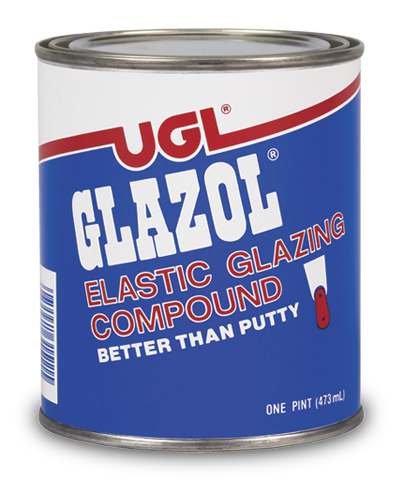 Superior to putty, UGL® Glazol® Glazing Compound is specially designed to create a watertight bond between glass and wood, glass and metal sash, and glass and doors. It forms a “cushion” against shock and vibration when used in replacing broken glass and is ideal for use as a knife-grade caulking compound. Use it to set plumbing fixtures, and fill cracks and nail holes in wood siding. UGL® Glazol® Glazing Compound offers year-round workability, remaining pliable while resisting chipping and cracking. Remove old putty and make sure the surface is clean and dry. * Air and surface temperature should be above 40°F. 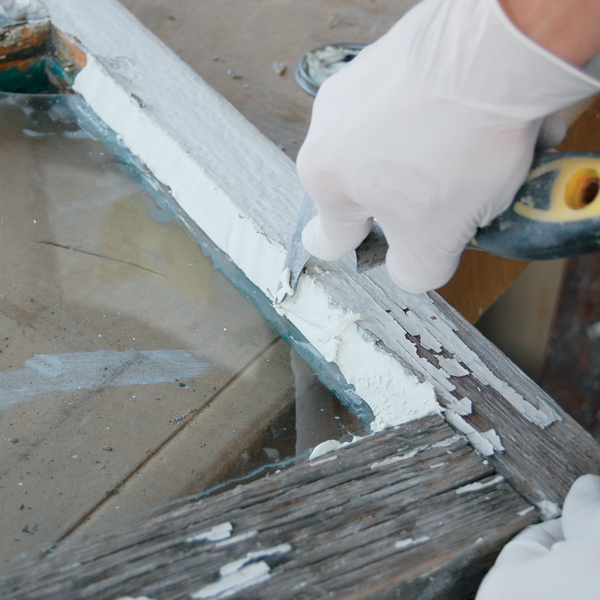 For best results, window frames should be primed with a good oil-based primer. If desired, for bedding glass, you may soften UGL® Glazol® Glazing Compound slightly using a small amount of mineral spirits. When installing glass in the frame, secure it with glaziers points or clips. UGL® Glazol® Glazing Compound is ready to use. Roll it in your hands to warm and soften the material. Apply it with a putty knife, placing the flat side of blade against the material, not at the bottom edge. Press UGL® Glazol® Glazing Compound onto the sash, filling the height and width of the L-shaped recess completely. Smooth it to an angle that sheds rain. For best results, UGL® Glazol® Glazing Compound should be painted after it is applied. When used under latex paint, allow the product to cure for several days before painting. Before painting with an oil-based paint, allow it to dry overnight.